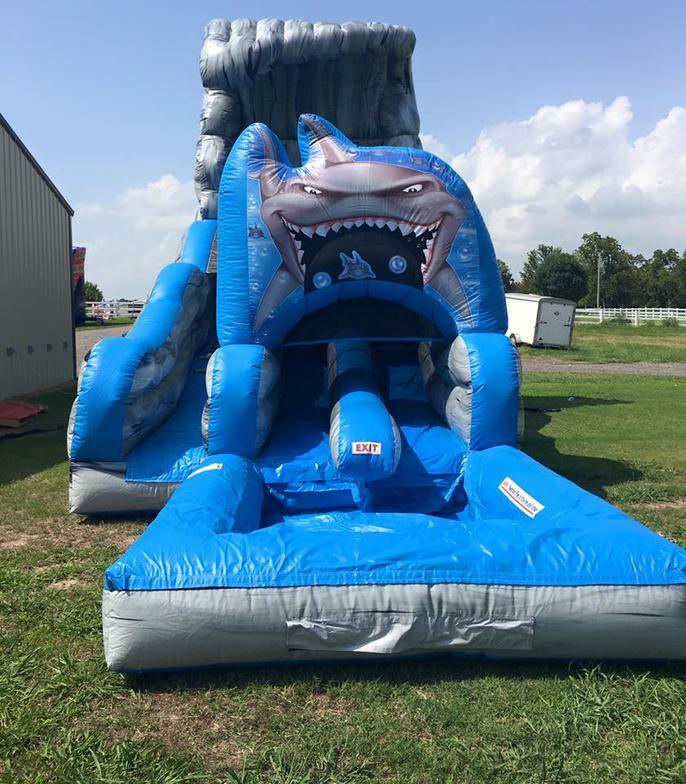 Introducing the brand new 19ft tall Shark Tank dual lane water slide. 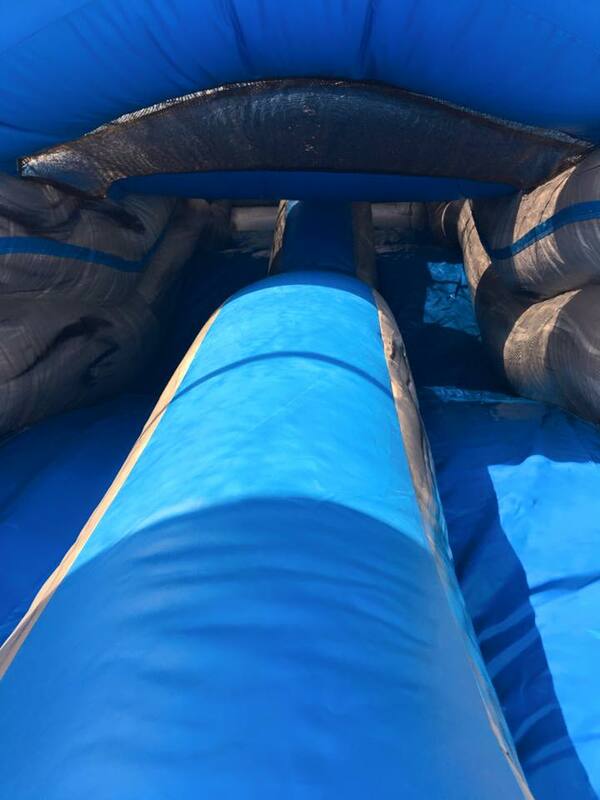 The Shark Tank is very unique water slide. 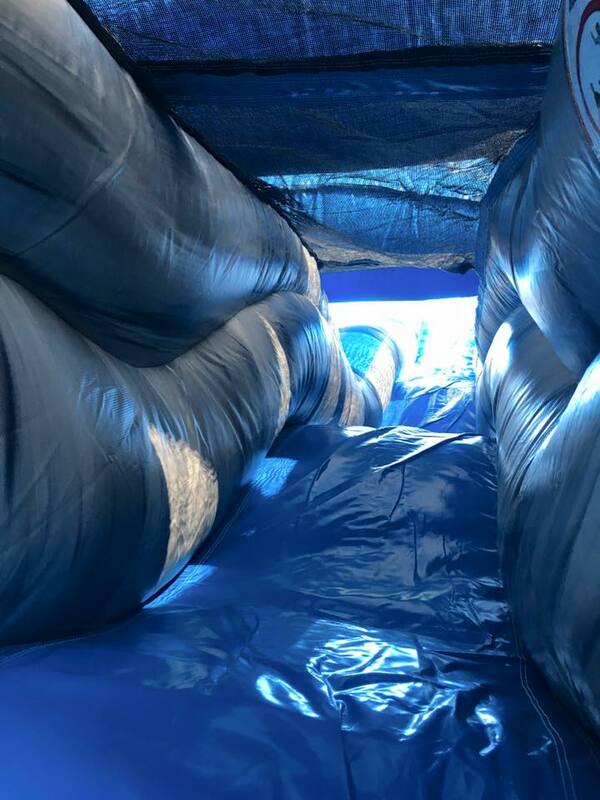 Climb the stairs, then slide down not 1 but 2 bumps, and finally land in a cool pool of water. 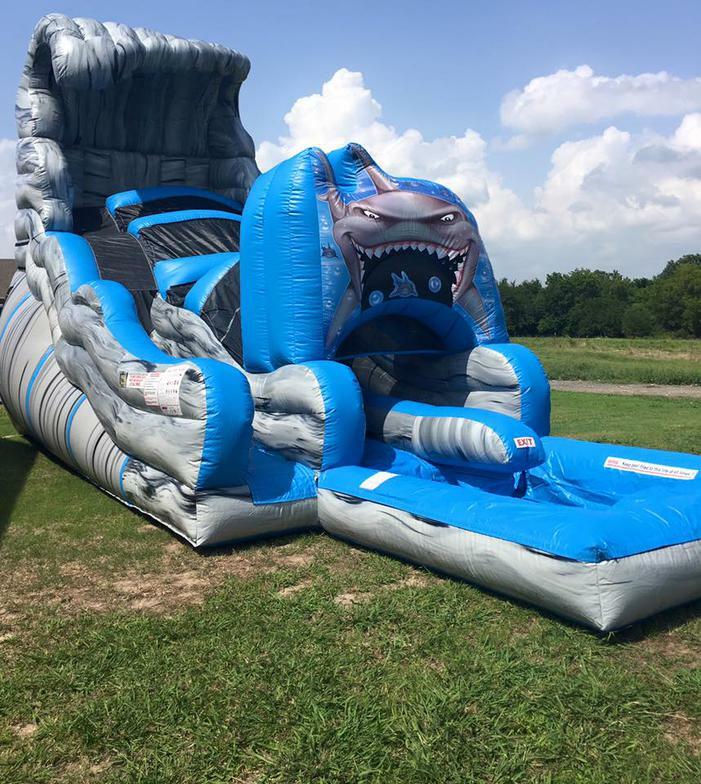 The Shark Tank water slide is an exclusive to Show It Off, LLC, it. was custom made meaning we are the only company with this design.